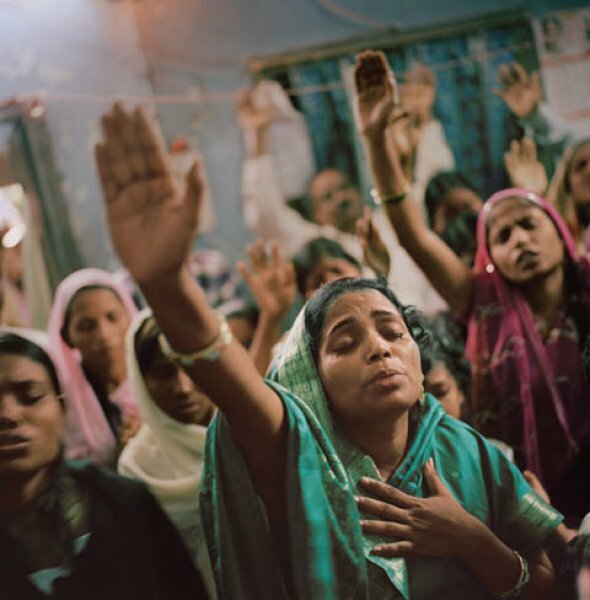 Mumbai (AsiaNews) – Police in Uttar Pradesh have arrested seven Pentecostal Christians on charges of "forced conversions". Stanley Jacob, David, Vijay Kumar, Amit, Sumit Varghese, Anita and Dinesh were arrested last Monday evening in the village of Mathura. Yesterday the Christians were brought before a court, and remanded into custody for 14 days. Speaking to AsiaNews, Sajan K George, president of the Global Council of Indian Christians (GCIC), said that "the allegations are baseless. The arrest is not only a threat to the ethos of tolerance and to communal harmony, but also sets a dangerous precedent". According to some villagers, Christians were active in the village for about a month handing out copies of the Bible. According to police superintendent Aditya Shukla, "agents received a report of forced conversions and arrested the seven Christians under Article 295A of the Indian Penal Code (deliberate and malicious acts intended to outrage religious sentiments)". The police said that the Pentecostals had been invited by Mamta, a village resident married to Pradeep Singh. Her sister Anita was among the people arrested. One resident complained that the accused had to tried to convert residents by force after they remained insensitive to the Pentecostals’ pleas. Some members of Mamta’s family said the Christians had insulted other deities. For Sajan K George, "the Christians were not involved in any criminal activity. They had been invited by Mamta to offer prayers. Worship in the privacy of one’s home is not illegal. Hostility towards the Bible is sad and hurtful." The Pentecostals "were arrested without any preliminary investigation. The growing suspicion against the vulnerable miniscule Christian community, especially the Pentecostals, is alarming,” George added. “It is no good for the social fabric. It does not augur well for the pluralistic spirit of religious tolerance that existed in India, and which is under threat today."